Designed by Elise Som, the “Animale collection” was inspired by her first trip to Africa in 2004. 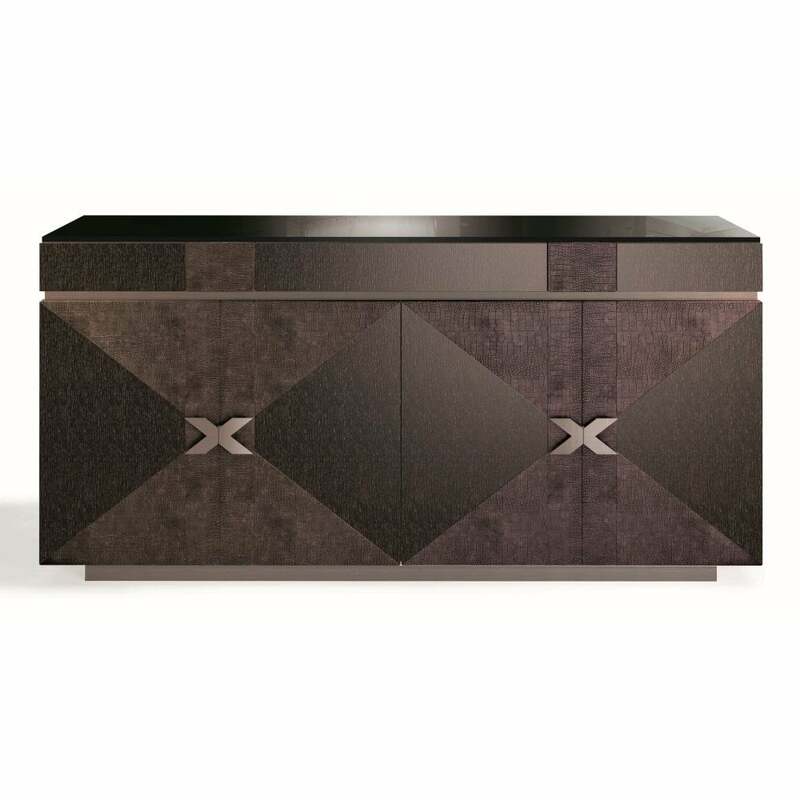 The Crocodenza sideboard from the Jaya range features an external and internal Oak wood stained Wengè in matt finish. The top is covered in a black lacquer with a high gloss finish. Dark brown Iguana embossed crocodile leather covers the front of the sideboard and includes three drawers with finger pull detail and four soft close doors with one shelf in each compartment. The dark brown Iguana embossed crocodile leather is complimentated by a copper bronze trim around the handles and base. This sideboard will make a bold statement in a dining room or entertaining space. Store your favourite drinkware and tableware in the ample compartment and drawer space. Style with warm, bold colours such as burnt orange, terracotta, ocher and accents of black. Make it a focal point by placing abstract artwork directly above. Browse Quintessa's hand-painted designs for bespoke colour matches to your interior scheme.